Four schools have taken part in the new competition; Perth High, Perth Academy, Strathallan and Glenalmond. The competition has been open to pupils under the age of sixteen who can send in up to three photos. The closing date was Friday 25th January 2019. There is a handsome Rotary trophy for the winner, together with prizes for those placed first, second and third in the competition. 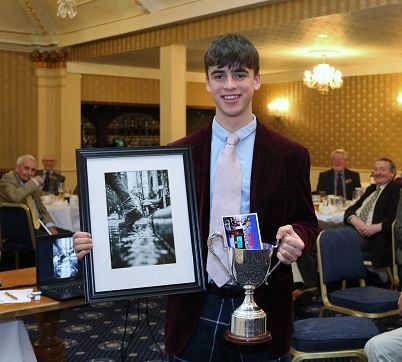 Marcel Betlinski, pictured above with the trophy and his winning photograph, took the laurels of the Young Photographer Competition. The photograph called New York Footstep was selected as an 'interesting and unusual point of view, perfect set-up and perfect exposure' by the judges. The competition was judged by Brian Johnston, Frank Sloan, Chas Seivewright and Alan Brown who felt that all three of Marcel's photographs were excellent. Marcel, a student, won the prize for Glenalmond School. Second place went to Perth High School and third to Perth Academy. The event took place on Tuesday 26th February at the UHI. 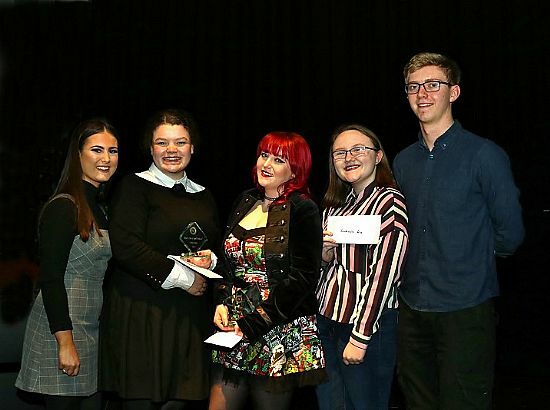 The winners are shown in the picture above: left to right Abbie Henvey, Rhona Jack, Amy Flanagan, Sarah Dickie, Jack Given. Schools Section - 1st place - Rhona Jack, Perth Grammar School. Special mention - Abbie Henvey of St John's Academy for the most captivating song. Ben Leitch, a Scottish wheelchair basketballer from Perth, has been picked by the Club Members to receive support as a selected athelete for 2019. He is pictured with his mother and committee members, Chris Kirk and Ken Thompson. Standing - Dhriti Shekar, Mina Brennan, Hugh Goring (judge), Eleanor Smith and Lisa Low. Seated Robin Rodger (judge) and President Gillian. The results of the Rotary Young Artist Competition were announced at the opening of the Perthshire Art Society’s Exhibition at the Perth Museum and Art Gallery on Thursday 8th November. 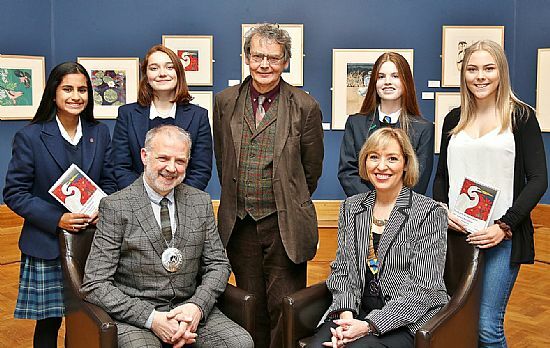 In conjunction with the Perthshire Art Association, the Rotary Club of Perth Kinnoull has been sponsoring the Young Artist Competition for secondary schools in the Perth area since 2007 and this is the twelfth year of their involvement. This year there were 54 entries with 5 secondary schools taking part. As usual, the judges from the Art Association had a very difficult task and thanks go to them for their deliberations. Many congratulations to the successful pupils and their schools. Once again Robin Rodger, President of the Perthshire Art Association, and his team were available with their help and expertise which was very much appreciated. Mr Hugh Goring kindly presented the prizes to the winners. In addition to their prize, the four prize-winning individuals have their works mounted and framed by the Association and these are hung in the exhibition and reproduced in the exhibition catalogue. Fergus McKinnon, a former pupil of Perth Academy, was selected as our RYLA candidate this year. He was unable to attend our recent evening as he has already started his course at Aberdeen University. 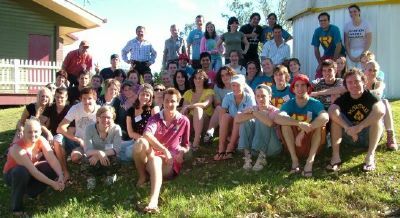 He has, however, put together a very sound account of his week with RYLA which gives us a real insight into the course. The structure of each day allowed one member of each group to take the lead. A brief explanation of the activity introduced the group to new skills and the development of the idea of leadership. The course emphasises the importance of leadership and the groups are introduced to the lives of many past leaders. That Monday saw a return to Cullen with a more concentrated view of rock climbing, some of which proved extremely challenging. This was Fergus’ day as team leader and he found that he was able to coordinate advice from the team to select the most suitable route. What goes up must come down and the new skill of abseiling proved very popular. Fergus was with a group of boys taken to Nethybridge on the Saturday where they were able to relax and get to know each other over lunch and the rest of the day. So it wasn’t until the next day that the activities began; with a vengeance. The group were introduced to ‘coasteering’ at Cullen which involved cliff walking, diving, rock climbing and jumping off high rocks. Thankfully, ice creams in Cullen allowed the group to recover. The next day was the ‘Abernethy Challenge’, a puzzle based exercise that saw the teams diffusing eight ‘bombs’ placed around the site. Fergus noticed that team work was essential as everyone was trying different solutions to no effect . It was only when everyone agreed on a final strategy that the group was successful. A major lesson learnt was the need to make sure everyone was aware of the ideas. Fergus became the group leader on the Wednesday for the gorge walking, an activity that makes you exhausted, wet and cold; not a relaxing combination. Once used to the freezing water, the groups made their way up the steep gorge. The climbing exercises were only possible through teamwork. Hill walking always forms part of any outward bound course. This took Fergus and his group to the Cairngorms for Thursday. Fergus recounted that this was not his favourite exercise but, despite the effect on the legs, it did give an opportunity for the group to mix more and talk openly about their adventure and the coming challenges. Friday became a very special day. Fergus’ group had learnt enough over the week to realise that using a raft to sail around the lake collecting clues would depend upon the surety of the vessel. So his group spent the most time discussing the exercise and in building the actual raft. Despite being the last to launch, Fergus was pleased that their time had not been wasted when their raft was secure and stable enough to last the course and win the challenge. As it turned out, Fergus’ group were awarded first position for the whole week. It is clear that Fergus enjoyed the week especially as he was ‘forced out of his comfort zone’. Although he considered himself confident he came to realise that confidence could be misplaced and that he had learnt above all the need for coordination and visualisation of group plans. In the end, Fergus was welcoming of his RYLA adventure as he had gained more friends and skills which would definitely form part of his future. There are a number of well-established activities and initiatives supported by the Club. For the last couple of years, we’ve worked closely with the other 2 Perth Clubs to provide a Mock Interview facility for school leavers and in the selection process for local RYLA candidates. During 2018, Mock interviews designed to support young people seeking imminent employment, have been co-ordinated in every Perth City secondary school. Over 100 youngsters have faced our Rotary interviewers and feedback from the schools has been excellent. We’re anticipating a similar exercise during 2018/19 and have a great team of club volunteers able to help. 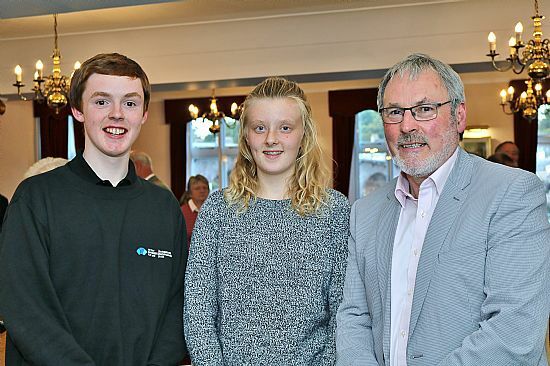 We have sponsored 2 local young people to attend the annual Rotary Youth Leadership Award (RYLA) week-long course at Nethy Bridge in July. The course sets out to help develop leadership skills and to enhance personal confidence levels and social skills. The other Perth clubs also sponsor their own participants and the 3 clubs share publicity work to encourage applicants and operate a joint interviewing panel to select those young folks who are likely to get the most from the course. Feedback from out sponsored participants has been excellent and we have already agreed to sponsor 2 (one male, one female) for 2019. Our springtime Young Singers competition really blossomed in 2018 with teenage participants from almost all local schools plus UHI providing a great evening of entertainment and at the same time giving the young singers a fantastic opportunity to perform before an audience in UHI’s superb theatre. We are looking to repeat the event in early 2019. Working with the Perthshire Art Association and virtually all local Secondary and Private schools, we have managed our Young Artist competition with the winner’s works being mounted and displayed at the PAA’s annual exhibition. In recent years there has been a significant increase in entries, with over 100 high quality works being judged by an expert (not Rotarians!) panel. As well as the arts, we support local young sportsmen/women through working with SportScotland to identify a local athlete and provide them the financial support to pursue their sporting dreams. In recent years our candidates have includes youngsters who have progressed to Olympic, Commonwealth and World Student games. Our funding is limited but we have also been able to support individual local young people to participate in life changing challenges and adventures, who on their return usually enthral our members with their stories! New for 2018/19 will be a Young Photographer competition. We are “testing the water” initially by working just with Perth High school but envisage the competition will be a success and thus opened out to all local young photographers in future years. Katie Eggleston and Jacob Millard joined us to update us on their experiences during their time with the Rotary Young Leaders. Katie showed lively excerpts from videos she had taken which were accompanied by some equally lively music. Chris Kirk, our Youth Convenor, then continued the evening in the form of an interview which prompted some interesting responses from Katie and Jacob and covered a lot of ground in the time available. Katie was a pupil of Perth Academy until the summer and is now studying Applied Science at the Perth College. 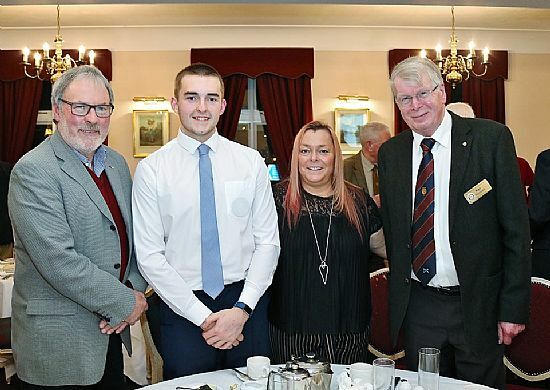 Jacob who was previously a pupil at Perth High School has been lucky enough to secure an apprenticeship as a Stonemason with Historic Scotland and is now working in Stirling. Leading a project with the other Perth clubs, to give young people who are soon to leave school for the jobs market, the opportunity to experience a “mock” job interview. Candidates will prepare a CV written for a preferred career role and Rotary interviewers will use a prepared format to interview them appropriately. We’ll then provide the youngsters with structured honest feedback on their performance and the impression made. Currently Perth Grammar and Perth High schools are keen to use this opportunity and interviews are scheduled to take place in March. Perth Kinnoull will be providing its share of interviewers.